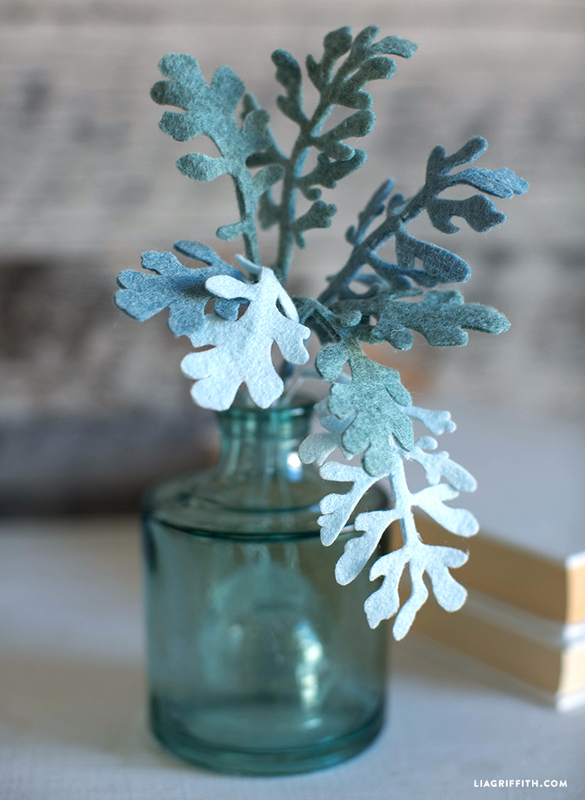 Another feature from our Southwest floral bouquet for Cricut — our felt dusty miller. 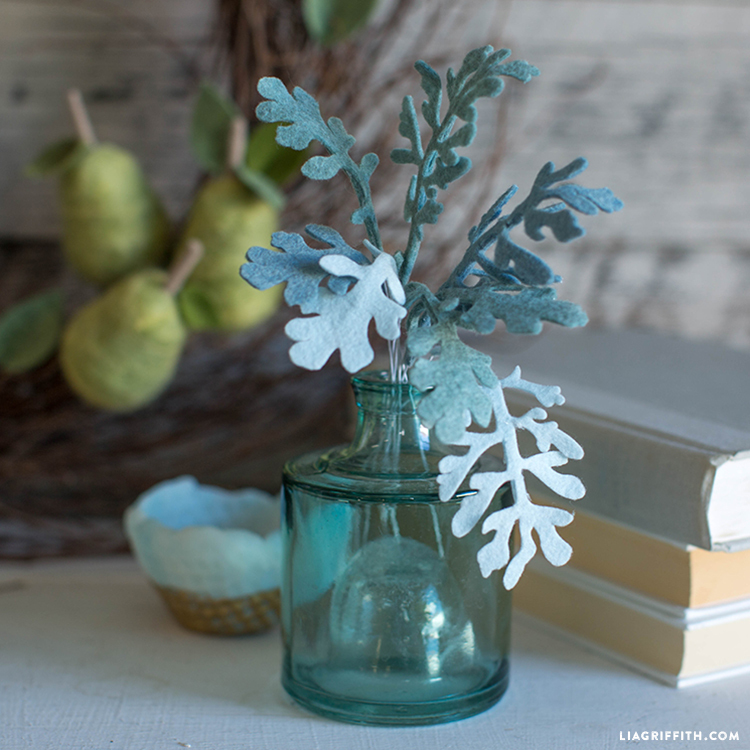 We love the delicateness this dusty miller exudes. 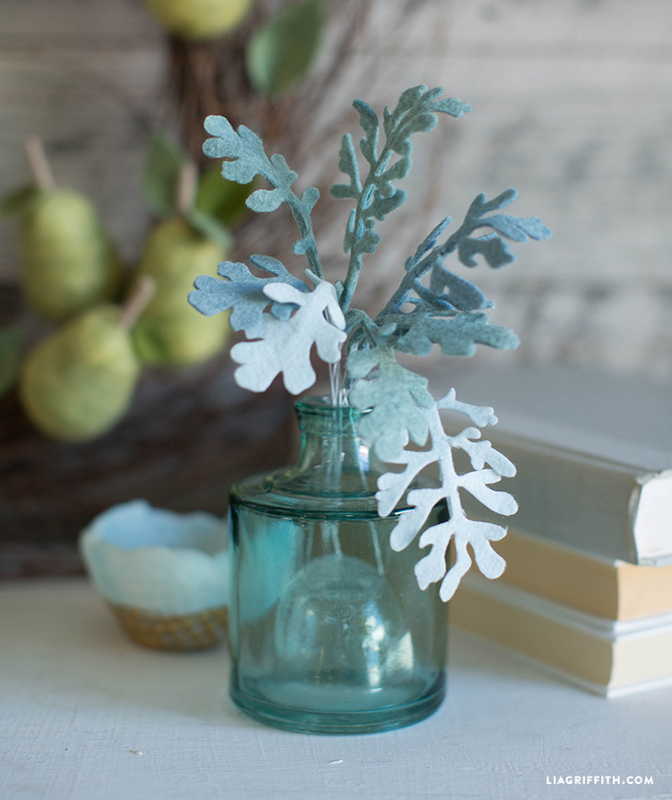 Originating in the daisy flower family, the dusty miller is delightfully simple and sweet. 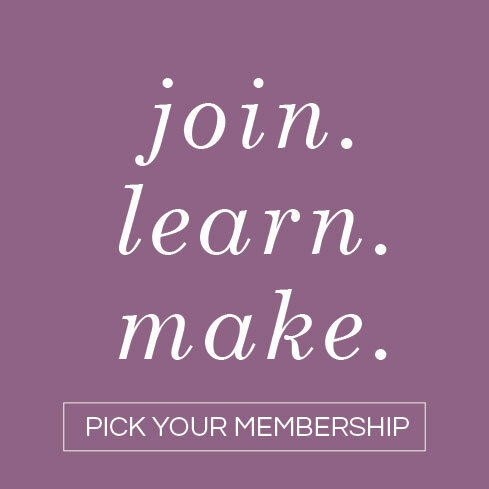 Made using the all-new Cricut Maker, you will love how quick and easy it is to make this project. If you don’t have access to a cutting machine, you can also cut by hand using a pair of scissors! 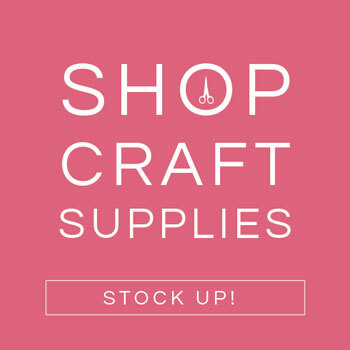 Craft some on their own or mix into a bouquet. Either way, this dust is a must! Glue wire to one side, then cover with a long thin piece of matching felt to hide the wire. Lia and team, thank you for all the wonderful craft ideas! My 10-year old fur baby’s BARKday party was a HIT thanks to all the fun decor I was able to make. I still have to send pictures. 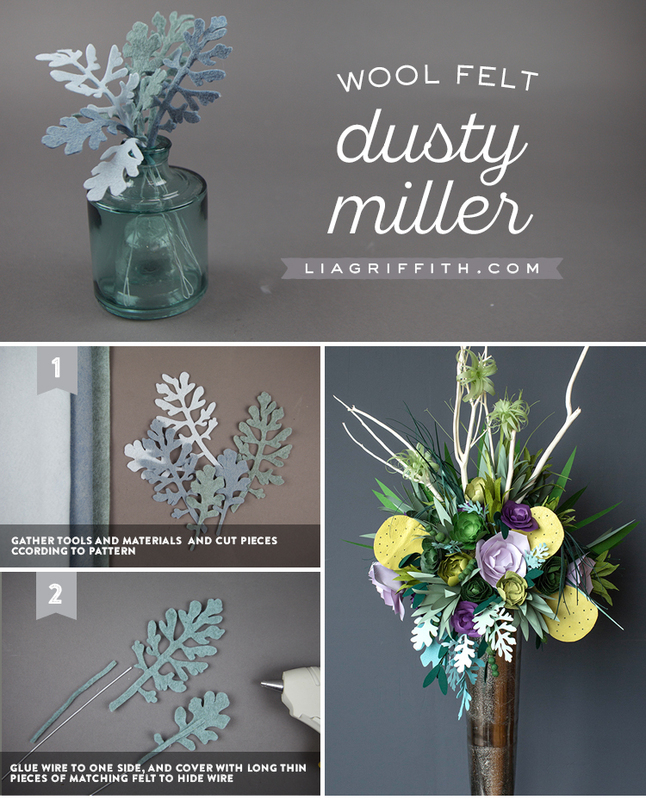 Just a head’s up: the PDF file for “Dusty Miller” instructions have some other instructions instead. perhaps the files got mixed up on upload? That’s so great to hear! YES please send us photos. 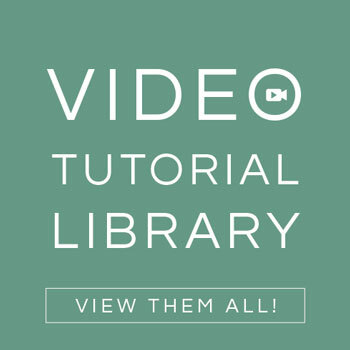 And thanks for letting us know about the instructions!